Singer Davido has said that he will never be intimidated by any blog or blogger in Nigeria because he has the largest platform which makes him bigger than any blog or page in Nigeria. The Singer who is presently in London preparing for his London show at the O2 Arena was a guest at a radio station where he made this known. According to Davido, he has 9.1million followers which makes him the biggest celebrity in the country. “Before you write something about me, I have written it on my page with over 9 million followers” he tells DJ Abass, the host of the show. A caller also called in to ask what Davido thinks about blogger Kemi Olunloyo’s continuous attack on him and his family. 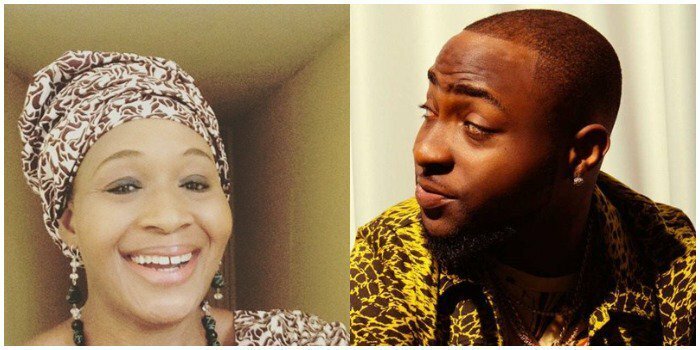 The presenter goes ahead to tell him “Kemi Olunloyo” to which Davido replies that he knows nobody by that name!